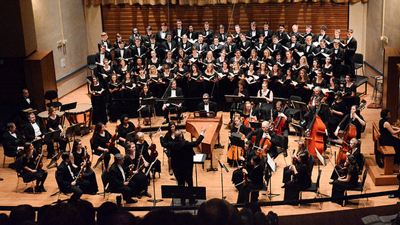 Founded in 1932 by Albert Riemenschneider (probably best known today for his edition of Bach’s 371 harmonized chorales), the Baldwin Wallace Bach Festival turns a spry 87 years old this year. 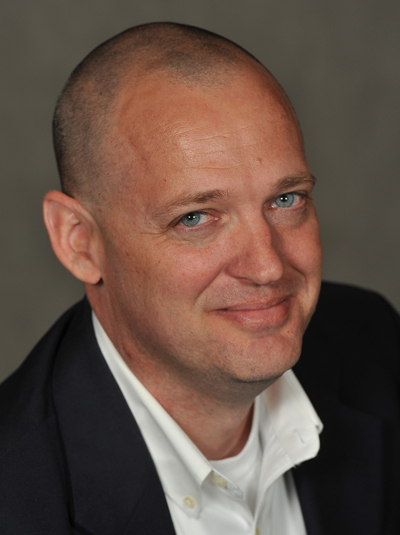 Festival director Dirk Garner continues to infuse the extended Festival weekend with new ideas. We chatted with him by phone to ask what’s new on the agenda for 2019. “There are two or three changes this year. 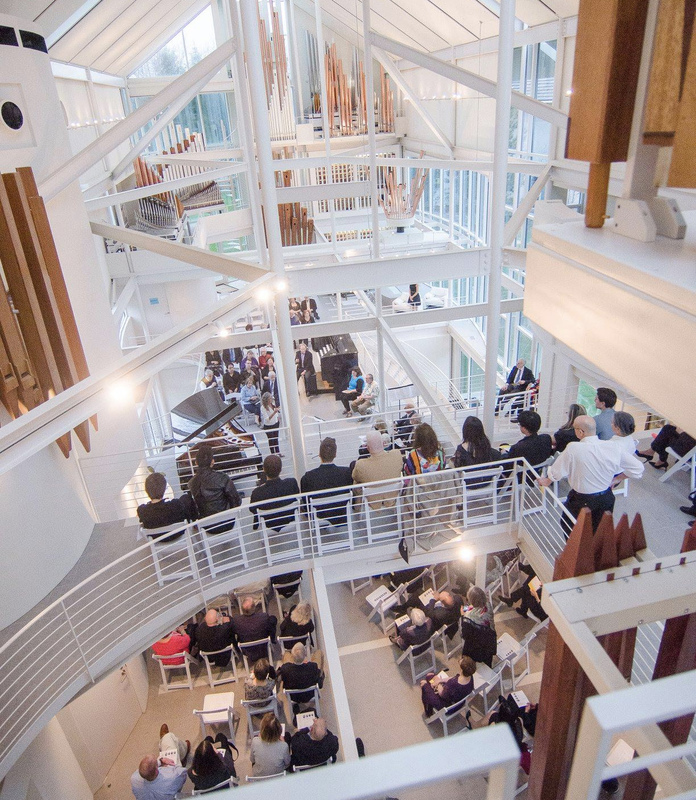 We’ve added a Thursday evening concert specifically to celebrate our new orchestra conductor, Soo Han. He’s just been here a year, but he’s making a big splash. 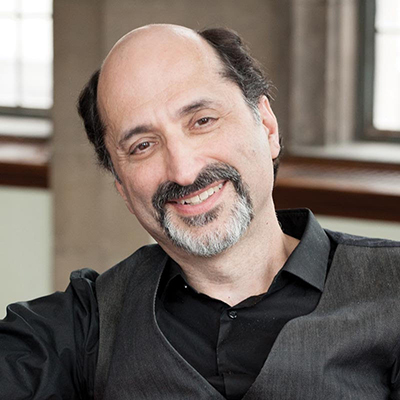 He’s a wonderful musician, and the students love him.” That opening concert on Thursday, April 11 at 7:00 pm in Gamble Auditorium includes Leopold Stokowski’s arrangement of Bach’s Air on the G String from the third orchestral suite, Mozart’s Symphony No. 31 in D, and Christopher Theofanidis’ Rainbow Body. 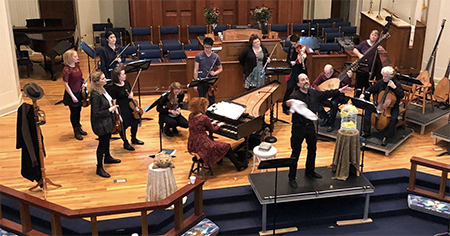 When Jeffrey Strauss sings Georg Philipp Telemann’s Funeral Cantata for an Artistically Trained Canary with Apollo’s Fire in four performances this weekend (March 7-10), the baritone will be returning to the stage for the first time following major heart surgery in the fall. The affliction that sidelined him for six months came as a complete surprise. 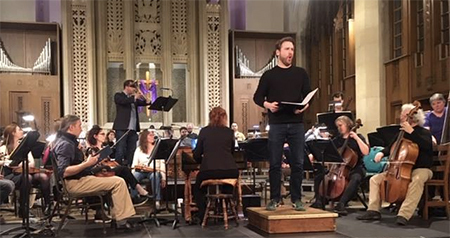 After singing the ensemble’s Baroque Music Barn concerts last June, Strauss took to bed for a week with a fever that persisted, eventually sending him to his doctor in Chicago for tests. “A blood culture finally identified it as a serious but not that uncommon bacterial infection,” he said in a telephone conversation. After five days in hospital, Strauss was sent home with five weeks’ worth of intravenous antibiotics and an appointment with a cardiologist — the bacteria had damaged a valve in his heart that needed to be replaced. 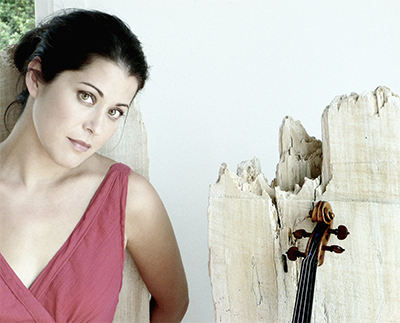 Apollo’s Fire was among the Grammy winners for classical music announced in Los Angeles on February 10. 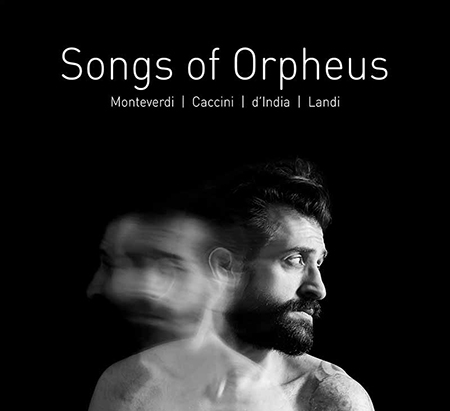 The award in the Best Solo Vocal Album category was given for the ensemble’s Avie recording, Songs of Orpheus, featuring tenor Karim Sulayman. 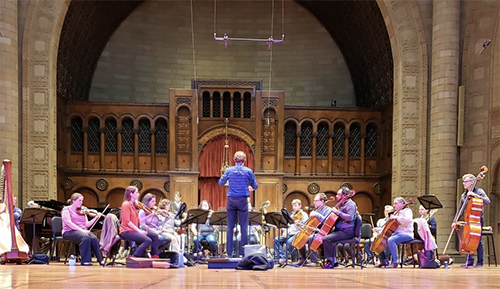 Conductor Jeannette Sorrell led an ensemble that included Julie Andrijeski, Johanna Novom, Karina Schmitz, René Schiffer, Rebecca Landell Reed, William Simms, and Brian Kay. It’s Valentine’s Day all week this week, and aside from the obvious gifts — flowers, chocolates, and shiny bling — there are a number of ways to take to heart the new advice of gifting your love interest experiences rather than things. 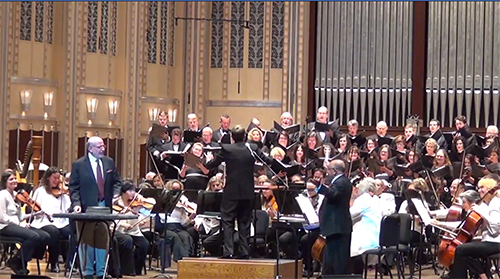 I’m grateful for ClevelandClassical.com for so many reasons. In fact, I learned about Nathan Gunn’s performance at Oberlin through you, which has now become the central feature of my surprise Valentine’s Day date with my fiancée! I owe you big time now. 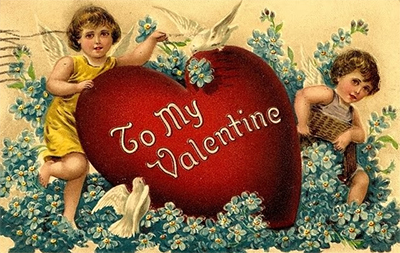 Here are some suggestions for your own Valentine. Soprano Kiera Duffy will make her third Cleveland appearance and her Severance Hall debut this weekend when she sings Mozart’s Exsultate, jubilate with Harry Bicket and The Cleveland Orchestra. Those gigs were with Apollo’s Fire, including performances and a recording of Handel’s Dixit Dominus over a decade ago, and more recently, the Praetorius Christmas Vespers. Since that time, Duffy has expanded her musical universe to include new music as well. Is it possible to take the standard song and dance forms of your time and turn them into virtuosic devotional meditations on the life of Christ? 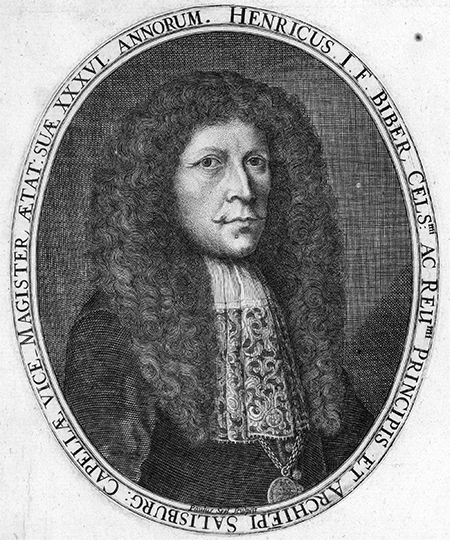 The composer and master violinist Heinrich Biber answered this question in the affirmative back in the 1670s with a set of 16 violin works — 15 sonatas with continuo and a solo passacaglia — meant to take the musicians through the Mysteries of the Rosary. 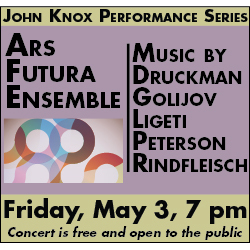 And not only are these works demanding in scope, they require complex scordatura — retuning the violin’s strings to new notes for each sonata and giving each work its own color and resonance. Tell your friends you’re headed to a Biber concert and their thoughts will immediately turn to a certain Canadian pop star. 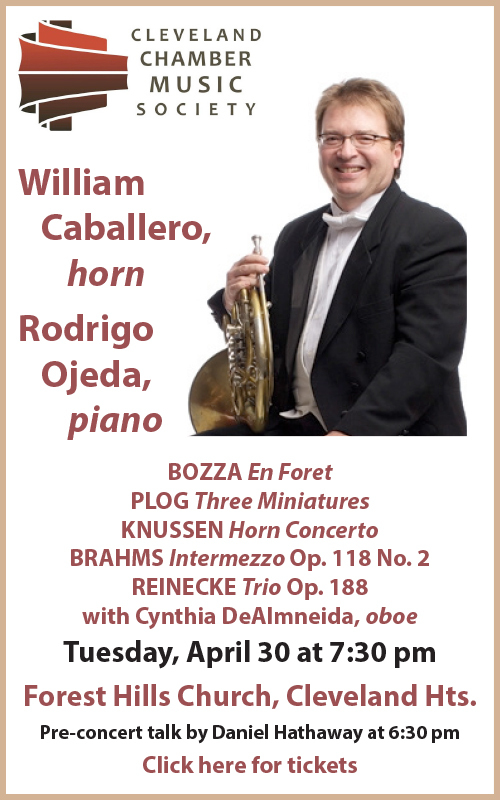 There’s another Biber, of course, probably famous only in early music circles, and Apollo’s Fire will treat its audiences to a good chunk of one of his violin masterworks this weekend. 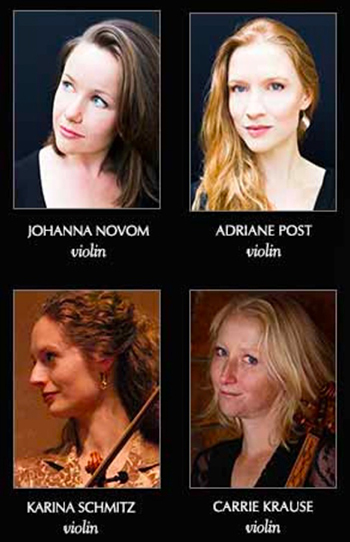 Violinists Carrie Krause, Johanna Novom, Adriane Post, and Karina Schmitz will take turns playing nine of the fifteen virtuosic pieces that make up Heinrich Ignaz Franz Biber’s “Rosary” Sonatas — musical meditations on the five Joyful Mysteries, the five Sorrowful Mysteries, and the five Glorious Mysteries of the life of Christ. Probably written in the 1670s, but unknown to modern ears until first published in 1905, the devotional work is preserved in a beautiful manuscript held in the Bavarian State Library.